In northern new Mexico there is a famous fossil quarry from where hundreds of skeletons of Coelophysis have been excavated. This small dinosaur lived in the Late Triassic, and at around 220 million years old it is one of the world's oldest dinosaurs. The bone bed where so many were found is named Ghost Ranch, after a nearby farm. It lies east of Arizona's Petrified Forest National Park, and both sites belong to the Chinle Formation of rocks. These ancient fossil-bearing rocks began as soft layers of sediment, deposited by rivers on their floodplains. Long ago, a herd of Coelophysis sank into the soft Triassic mud, where they lay buried until excavations uncovered them in the late 1940s. The Ghost Ranch dinosaur quarry is in the Chama River Valley, near the northern New Mexico town of Abiquiu. The fossils occur within a thin bed of red sandstone. This dinosaur is one of the biggest Late Triassic carnivores. 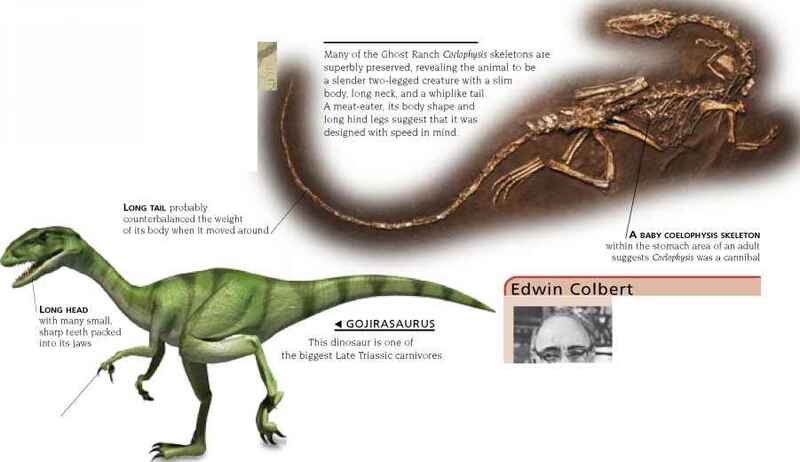 It seems to have resembled Coelophysis, though twice as big, weighing as much as 440 lb (200 kg). Known from a single, incomplete skeleton, Gojirasaurus is named after Gojira, which is the Japanese name for the movie monster Godzilla. American paleontologist Dr. Edwin Colbert (1905-2001) discovered more than 500 skeletons of Coelophysis at the Ghost Ranch quarry in 1947. His work on Antarctica also helped to confirm the theory of plate tectonics, or "continental drift." 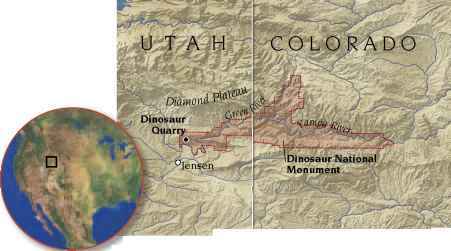 DiNOSAUR NATiONAL monument is in a remote part of Colorado and Utah, in the western United States. 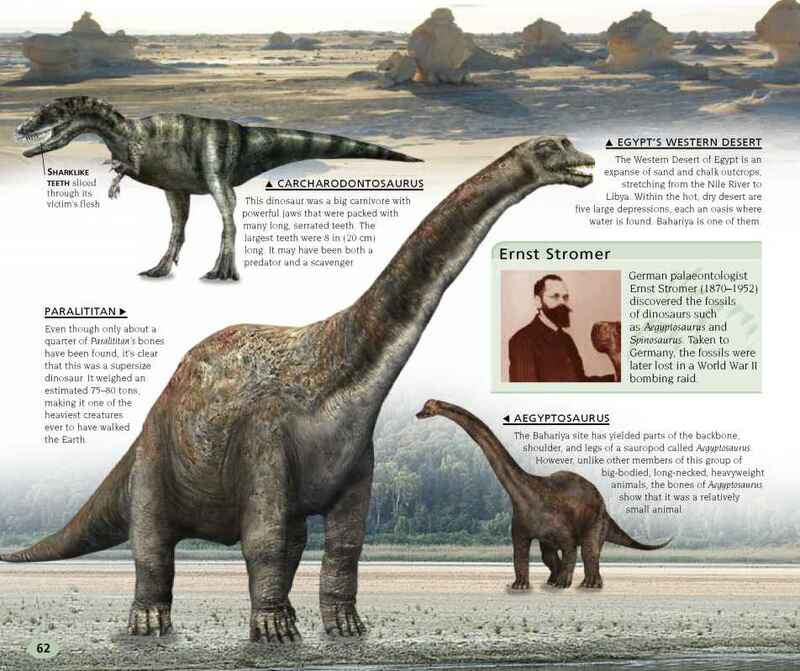 It is a protected area of more than 200,000 acres, where hundreds of Late Jurassic dinosaurs have been found, including the meat-eaters Allosaurus and Ceratosaurus, the plant-eaters Diplodocus and Stegosaurus, together with about 15 other species. They lived 150 million years ago, on low-lying ground over which a great river periodically flooded. As it spilled across its floodplain, it washed the carcasses of dead dinosaurs onto a sandbank, where they were slowly fossilized. 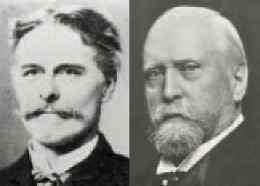 In the 1870s, two American fossil hunters, Edward Drinker Cope (1840-97) and Othniel Charles Marsh (1831-99), began searching for dinosaur fossils within the rocks of the Morrison Formation. They competed to see who could find the best specimens, and who could name the most new species. 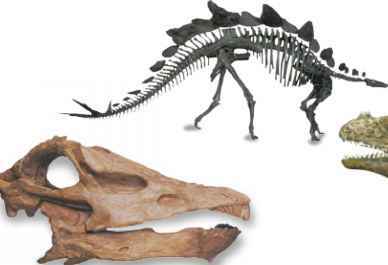 Their bitter rivalry lasted for many years, and is now known as the "Bone Wars." More than 300 tons of dinosaur fossils were recovered from the bone bed, including the skeleton of Stegosaurus, a plant-eating dinosaur with bony plates on its back. Excavations began in 1909, centered on a site known as Dinosaur Quarry. In 1915 the Dinosaur National Monument was created in recognition of the importance of the surrounding landscape.